Thomas Austin Jones has gone down in history for the assistance he gave assassin John Wilkes Booth and his accomplice David Herold. Jones not only cared for the two fugitives as they hid out in a pine thicket in Charles County, but he also transported Booth and Herold from the thicket to the shores of the Potomac from which they got into a boat and attempted to row across to Virginia. Thomas Jones, who was born in the Port Tobacco area in 1820, owned two houses in Charles County during the Civil War. It was from his larger home on the Potomac River called Ravenscliff that Jones began his career as a mail agent for the Confederacy, but by 1865, his financial situation and death of his wife had caused him to downsize his estate to the more modest Huckleberry farm. Jones was living at Huckleberry with his nine children when Samuel Cox, Jr. showed up on the morning of April 16th and beckoned Jones to return with him to his father’s farm of Rich Hill. At Rich Hill, Jones would learn about Cox’s nighttime visitors and be given the task of caring for the fugitives while looking for an opportunity to get them across the Potomac. 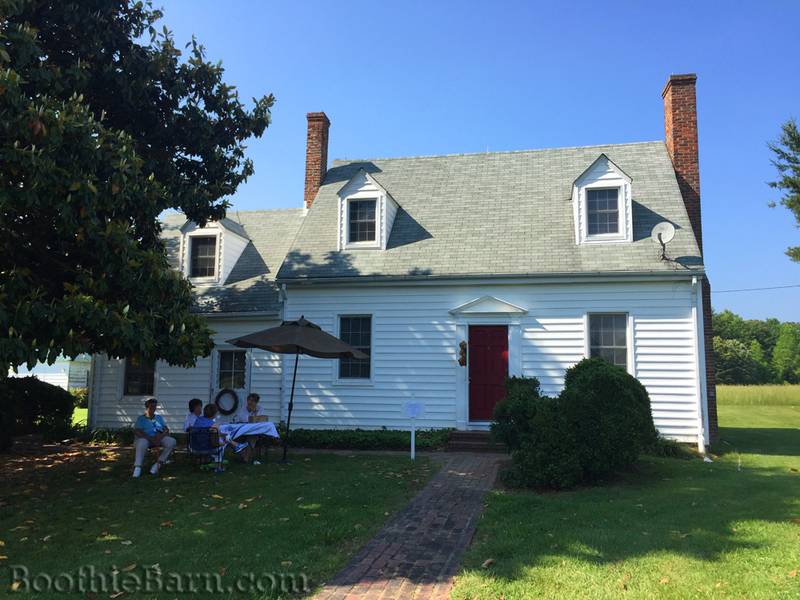 Today, as part of the Maryland House and Garden Pilgrimage in Charles County, Thomas Jones’ home of Huckleberry was open to the general public for the first time in 56 years when it was featured in the 1960 Maryland House and Garden Pilgrimage. The house has been remodeled and updated since Thomas Jones’ days but still maintains much of its same 1865 character. These images, along with the watchable yet somewhat motion sickness inducing video that follows, were all taken today after the garden tour was completed. 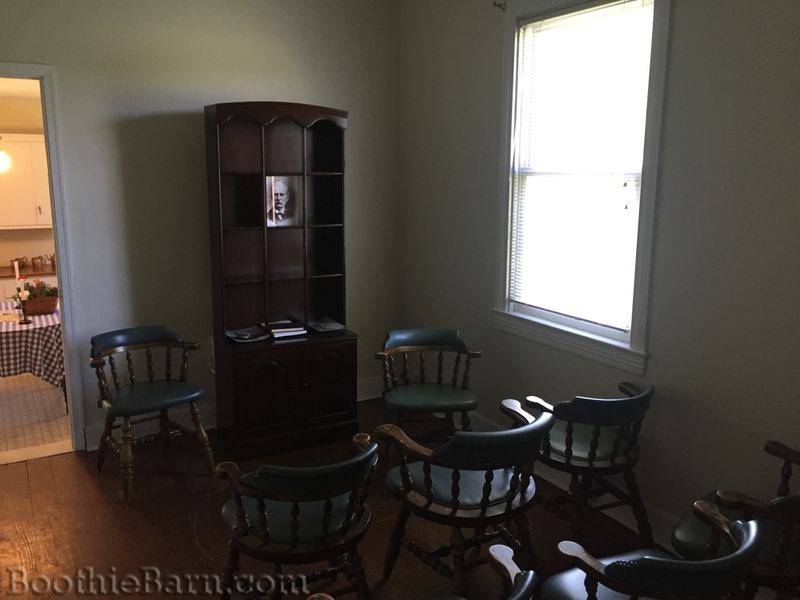 About 450 people showed up and toured through Huckleberry while I stood in the room with chairs giving visitors a brief overview of Thomas Jones and his life before, during, and after John Wilkes Booth. The visitors truly seemed to enjoy learning more about this unique man and his role in the Lincoln assassination story. Probably the most interesting little known fact about Thomas Jones is that, in 1893 when he traveled to the World’s Fair in Chicago in order to try to tell his book about helping Booth, Jones actually borrowed and brought with him two artifacts from Dr. Mudd’s house. 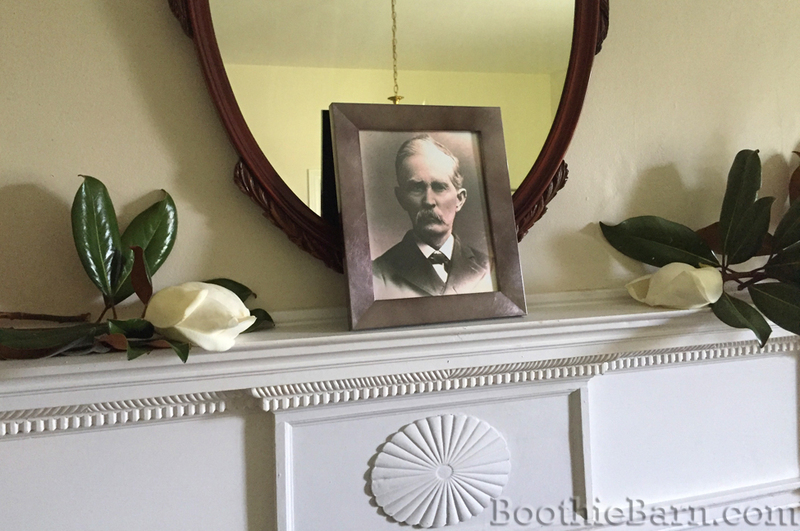 The Mudd family allowed Jones to borrow the bed that Booth slept in at the Mudd house along with the parlor sofa on which John Wilkes Booth laid on while Dr. Mudd had inspected his leg. Having these artifacts did not help Jones much, however. His book sold very poorly in the Land of Lincoln and he came back to Charles County with many copies of the book and a great deal of debt from the venture. 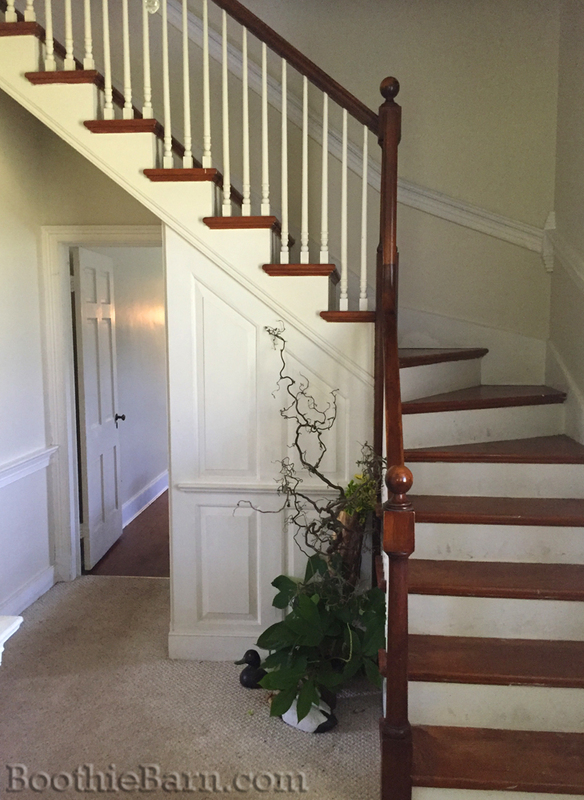 Though it is impossible to say the next time that Huckleberry will be open to public tours again, the Loyola on the Potomac Retreat House has done a wonderful job as stewards of the house and property since they acquired it in the 1950’s. So even if Huckleberry waits another 56 years before being on the garden tour again, I think, in the meantime, it will stay in very good hands. Thanx, Dave, for providing us with a rare look inside Jones’ house. I never thought I’d get to see it (almost) first hand! (And I didn’t get nauseas!) Was it you who placed those pictures of Jones inside the house for “effect”? I don’t recall ever seeing a map of the Booth escape rte. with photos that was laid out on a table. Is that new? How can I get a copy? Richard – I believe the map that Dave used to discuss the escape route is the one that Joan and I worked on with the Maryland Office of Tourism and Development nearly ten or more years ago. We distribute them free to visitors at Surratt House Museum. Jog my memory at work, and I will mail one to you. It is nice to see Huckleberry again. I lived here from 1972 till spring 1974 and tried to restore the garden. I rented from the Jesuits and they were very supportive of my efforts. I miss the screened in porch off the kitchen. It was a great space to have morning coffee. Thanks for sharing these pictures. Interesting Becky that you once lived in Huckleberry. Were the room layouts then the way they look now, or has the interior been changed? I never got beyond peeking in the front door many years ago, but I remember feeling sorry for Mr. Jones and his second wife who endured nine children being confined in such a small house – or at least it appeared small from the outside. The Jesuits put a bedroom where the dining room was. It was a large, graceful room, same size as the living room, with a fireplace. 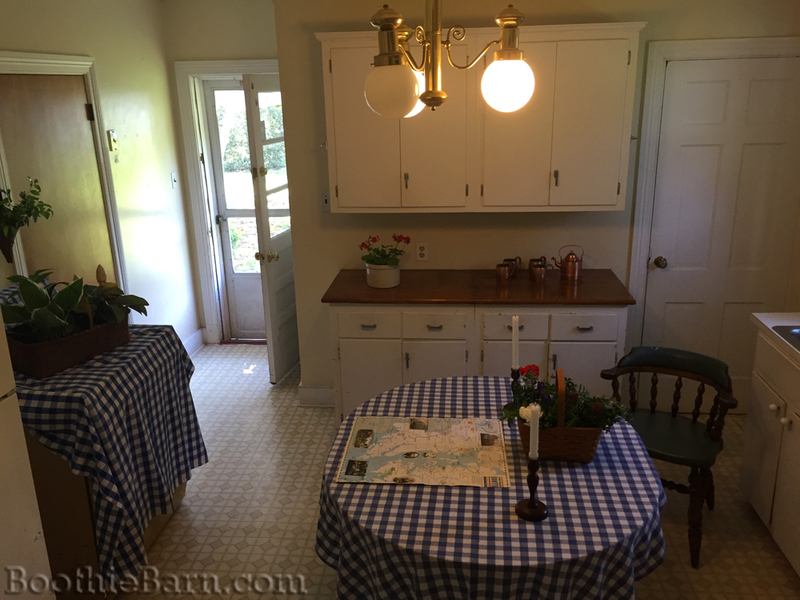 It was bright and airy and had a door to the screened in porch. When I had to move from that house, I cried all the way to Frederick county where I live now. We also had a formal boxwood garden in the back of the house and very large, old box woods in the front of the house as well as along the path to the kitchen door. The smell from these was Wonderful early in the morning. 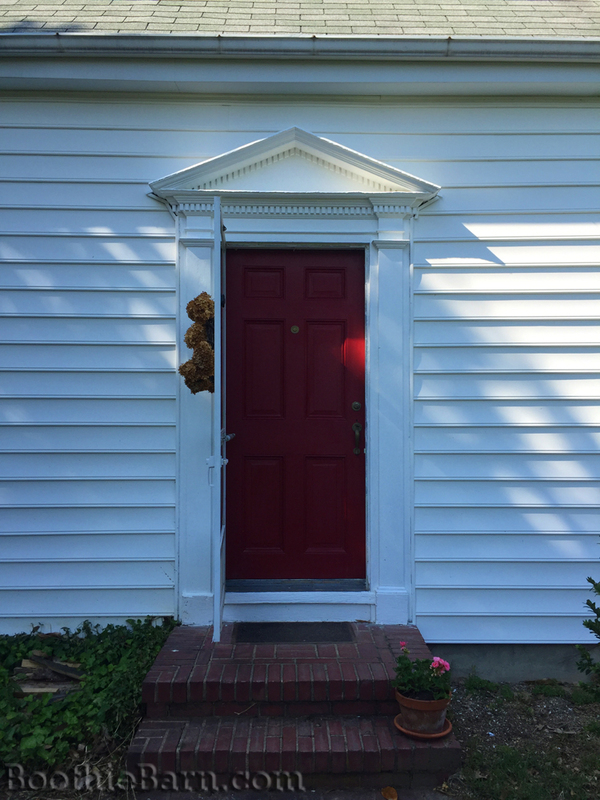 It never took much to “day dream time travel” while living in this house. Thanks so very, very much Dave for taking us INSIDE Huckleberry! As many times as I’ve been on the property in the last 40 years, I’ve never been inside – Great! So “big” for such an apparent little house! Were the magnolia blossoms on the mantel from the gorgeous trees outside Huckleberry’s front door? I believe Thomas Jones was a man of honor to the last. He did his duty to the cause that he had assisted throughout the war and remained silent as to his last “assignment,” unlike a few others drawn into the conspiracy who continued to let it influence their lives until they entered eternity. Obviously, he miscalculated how his former enemies would take his story when he tried to sell his book in Chicago. However, I’m sure that we can assume that he left out good portions of the intrigue that swirled around Southern Maryland during the Civil War in order to protect friends, colleagues, and others that he would have to live with for the rest of his/their lives. Since childhood, I have heard rumors that Jones brought his unsold books back to Maryland and dumped them in a ditch somewhere and covered them over. Wouldn’t we love to find that ditch! Over fifty years ago, Mr. James L. Barbour of Port Tobacco did the next best thing and reproduced the book for sale to the general public. For years, we sold them at Surratt House until Mr. & Mrs. Barbour retired from the book business. About ten years ago, John and Roberta Wearmouth incorporated the book inside of another similar history of the area, so Jones’s work is still alive and well — for the time being. John Wearmouth died on May 20 this year. IN my day there were two huge magnolias in the yard next to the screened in porch on the kitchen side. We used the blossoms in the house, and those large, lovely green leaves decorated our dining table at Christmas as well as other holidays. Also a lot of crows foot grew around the property and that was used to decorate around all the downstairs doorways as well as chair rails. Christmas at Huckleberry was very special. If Jones’ role in helping President’s Lincoln’s murderer escape capture had been uncovered at the time, and he had been put on trial with the others, I suspect he would have been hanged, and we would have a much harsher view of him today. I’m surprised he wasn’t arrested and put on trial for conspiracy in 1884 when George Alfred Townsend broke the story of Jones’ conspiracy with Samuel Cox to aid and abet Booth’s escape. However, that was two decades after the murder. Cox was dead, and I suppose the government was no longer interested in pursuing others who had helped the murderer escape. Thanks to Laurie for the info on John Wearmouth’s passing. I knew John for many years. His oral history interview of my mother and her sisters is part of the large Wearmouth oral history collection available at the College of Southern Maryland Library, LaPlate Campus. I still have a signed copy of John and Roberta’s 1995 book on Thomas Jones. I will miss that gruff, lovable old codger. Federal statute 18 USC 3282 provides the basis for the statute of limitations applying to various federal offenses. This statute indicates no American citizen can be tried, prosecuted in a court of law, or punished for noncapital offenses after 60 months of the commission of the offense. To be valid, an indictment must be found or information instituted within that time. In some cases, a conspiracy with the objective of committing a capital offense, like murder or kidnapping, may still be prosecuted after five years, even if the conspiracy was not successful. Of course, I don’t know if this statute was even in place during the 19th century. I’m another one who will miss sparring with John Wearmouth. That old Yankee shook up Charles County when he moved amongst them after WWII. He and Roberta were “foreigners” to many who thought they had no right to snoop into the history of the area. But they kept snooping and have left a lot of useful information to the College. The Southern Maryland Studies Center there has a great deal of information that students and researchers should familiarize themselves with — including records from the family of Thomas Jones. If I didn’t have mobility issues, I’d be playing hooky from work and spend my days immersed in those files. tidbit came from? What kind of relationship did the Mudd family have with Mr Jones? The story about Thomas Jones taking the Booth sofa and bed to the World’s Fair is contained in John Wearmouth’s book, Thomas A. Jones: Chief Agent of the Confederate Secret Service in Maryland. Unfortunately, he does not give a source for this story and I have yet to find corroborating information. Something about it may be located at the Southern Maryland Studies Center in La Plata. On Friday I am planning to visit there to look at their Thomas Jones files. I’ll let you know if I find anything.